Singapore yet again grabbed the top spot in this year’s Business Environment Rankings released recently by the Economist Intelligence Unit (EIU). 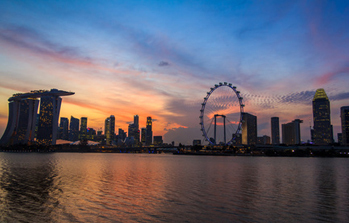 Singapore has held on to its distinguished top rank for seven consecutive years. Switzerland took second place while its closest competitor in the region Hong Kong came in fourth. While New Zealand made it in to the top ten – by moving from its previous 11th place ranking into 9th, Germany slipped to the 12th spot from its prior 10th. The EIU ranking measures the quality of the business environment in 82 countries. Factors examined include political environment, market opportunities, and policies related to free trade, foreign investment, and the labor market. Each category contains a number of indicators that are assessed by the Economist Intelligence Unit for the previous five years and the next five years. 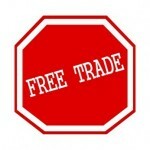 The competition between the East Asian countries has intensified to attract investment. In their quest to become regional financial, manufacturing and distribution hubs they have taken proactive initiatives and policy reformations to improve their business environments. Malaysia is a prime example, moving from 24th place in 2013, and entering the top 20 for 2014, taking 19th place. However there is much room for improvement in terms of infrastructure, an area where most Asian countries are significantly lagging behind. Singapore stands out amidst the rest of the nations whose confidence has been jittered by the weak economic environment and rising international and domestic tensions. While countries like Malaysia, Thailand and its close commercial competitor, Hong Kong, are marred by domestic political turmoil, Singapore has a stable political system, which is of great reassurance to investors. Its neutral stand and investment friendly policies such as zero tax on capital gains and 100% foreign ownership are great tractions to investors. Singapore also comes in top, for the ninth consecutive year, in the World Bank’s Doing Business report that was released recently. The scores for the ranking is a measure of the ease of conducting business, such as the ease of registering a business, property etc., or the ease of obtaining credits, permits and licenses, the ease of resolving commercial disputes, the ease of customs procedure, imports and exports, etc. Enterprises from diverse sectors have made Singapore their home and have committed to big investments here. For instance, ExxonMobil with more than $10 billion in assets is the single largest investor. 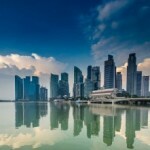 Procter & Gamble has established its regional headquarters in Singapore in addition to their headquarters for beauty and personal care products. DuPont, the innovation driven company, has established global headquarters for sustainable solutions in Singapore. Philips, the Dutch consumer electronics giant, will soon operate its regional headquarters here as well. Last year Unilever opened its S$80 million Four Acres Singapore global leadership development centre, its first and only outside the UK. Earlier this year Lucasfilm opened its Sandcrawler building, the state of the art building will be the regional headquarters for Lucasfilm Singapore, The Walt Disney Company (SEA), and ESPN Asia Pacific. 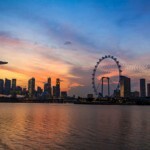 Commenting on the latest accolades endorsing the business friendliness of Singapore Ms. Jacqueline Low, COO of Hawksford Singapore said, “Singapore is well placed, well sized and well managed making it the ideal destination for investments. The regulatory regime is constantly reviewed and revised in order to remain relevant for the changing global situations and measures are taken to keep them simple and easy to follow. This makes all aspects of establishing a company and growing it easier. East Asia, especially ASEAN is gaining lot of attention among the investors and global enterprises, therefore the FDI influx into this market is growing. Singapore is a hub for so much of Asia and has the top-class enterprise ecosystem attracting several MNCs as well as SMEs to setup subsidiaries in Singapore. While the business environment has constantly remained favorable the government is not resting on their laurels and is taking efforts to improve its competitiveness by addressing issues such as rising labor costs, through special schemes such as PIC and tax incentives. We hope to further strengthen our edge over the rest and attract more businesses and investors here”.